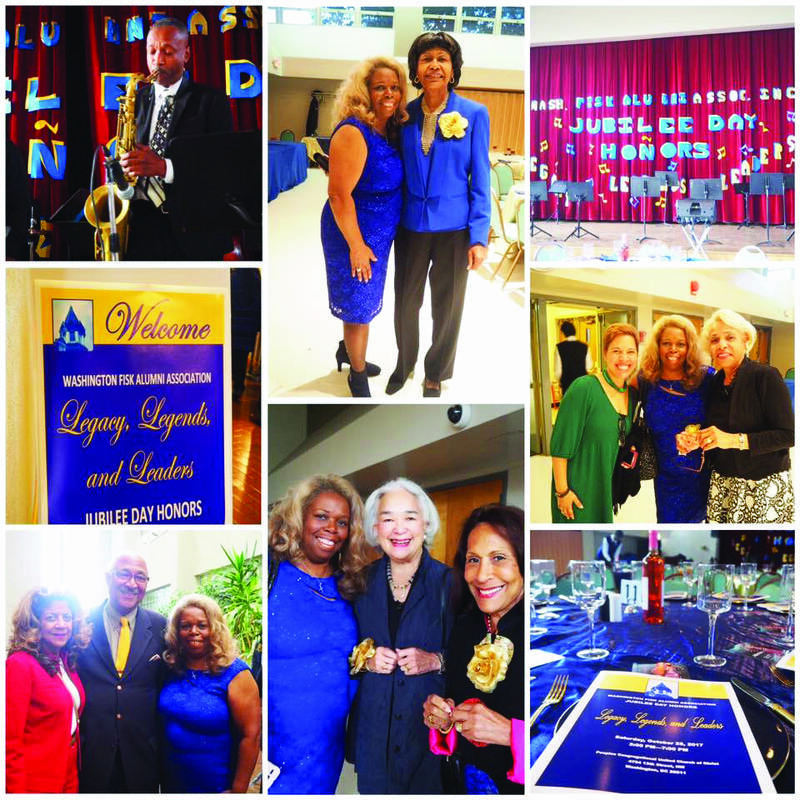 WASHINGTON, DC — For a small historically black college, Fisk University has outsized representation in the Washington D.C. area so the Washington Fisk Alumni Association Inc., launched an inaugural celebration “Jubilee Day Honors Legacy, Legends, and Leaders” event to honor 167 in the D.C. area who attended Fisk University between 1933 to 1967. 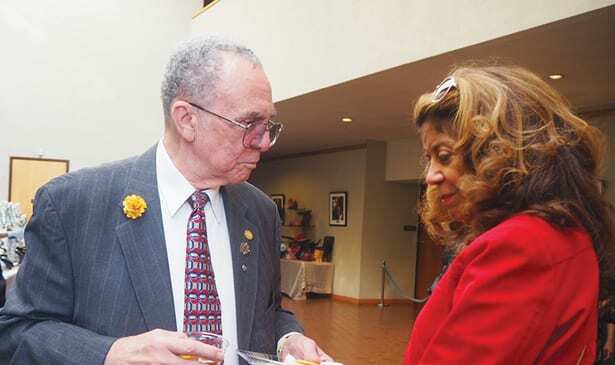 The group, which is the oldest Fisk alumni association, also singled out fifty “living legends” among their ranks who gave exemplary service to the alumni group with gold boutonnieres and gold corsages. 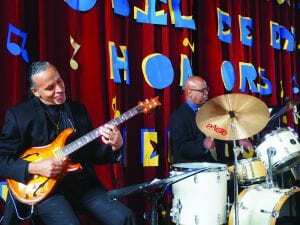 “We’re talking about people who broke through color barriers in many areas. 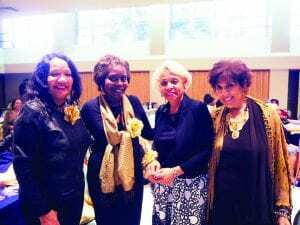 They have just been a wonderful group of professionals who have embraced each and every Fiskite who have come to the DC area,” said Monica Rhea, Chair, and creator of this Jubilee Celebration and a alumni class of 1978. “A lot of these people have had major success in their careers. 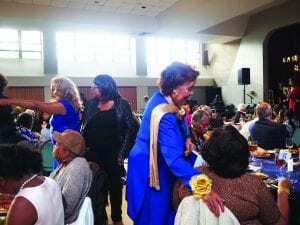 We’ve had some big names in our alumni group — among them Therrell C. Smith, a trailblazing ballerina who turned 100 this year and still drives, teaches ballet and was recognized in the Washingtonian Magazine,” said Rhea. Smith was also featured in Dance Magazine this year for her distinguished career. Other notable and well-known fellow Fisk graduates are former DC Mayor Marion Barry who earned his Masters degree from Fisk, and current members of the U.S. House of Representatives who graduated from Fisk such as Congressman Alcee Hastings, Congressman John Lewis and Congresswoman Frederica Smith Wilson. “We also acknowledged those who have passed away – like Emma Sue Byrd (class of 1948) who was a math major and worked at NASA. Even though we have ‘Hidden Figures,’ [the film about NASA workers] they are standing on the shoulders of Sue Byrd,” said Rhea. Other memorial honorees are: Edgar Dawson (1928), Dr. Mildred Ellis (1929), William Morrow (1949), William Neal (1948), Walter Pearson (1950), LaPearl Philyaw (1939), Jacqueline Walton Sadler (1957) and Mayor For Life Marion Barry. 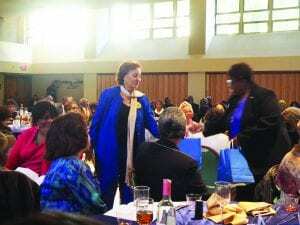 l-r; Fiskite and Chairwoman Monica Rhea, Fiskite Deb Brown, Honoree Annette Morgan, seated in tan hat and Honoree Dorothea Gregg Hunter, foreground, far right. Honorees Atty. 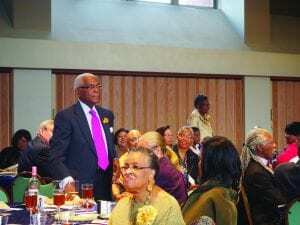 James Haynes, standing left, and Gwendolyn Washington Pla, Phd, standing in background. Honoree Dorothea Gregg Hunter, standing at left. 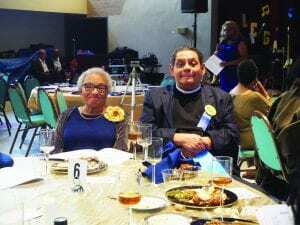 l-r; Honoree Maryanne G. Rozzell and Episcopal Rector Robert B. Hunter, Sr.
Jackson, Sandra Owens Lawson, Helen Mills, Annette Morgan, Gwen Washington Pla, Alma Johnson Powell, Frances Rankin, Carolyn Reid-Wallace, Hildred Roach-Stafford, Maryann Rozzell, Ida Smith, Therrell Smith, Joan Jackson Stanley, and Richard P. Thornell. Pashmina Shawl and Gold Brooch and Stellar Son Honorees’ received a Gold Tie and three-piece Gold Cuff Links/Tie Clip Set. They are winners who have always stepped forward,” said Rhea.